History of Victory Poker - Casino Answers! This article covers the history of the online poker room Victory Poker, from their launch until current day. We cover everything important that has occured in the history of Victory Poker, in chronological order. January 2010: Rumours are abound throughout the industry about the new online poker room that is opening in the near future, called “Victory Poker”. 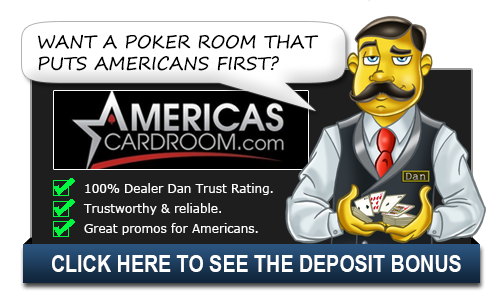 It is rumoured that there are millions of dollars behind this poker room, with many speculating it would be the “next big thing” for online poker. Dan Fleyshman was the CEO and one of the main spokesmen for Victory Poker, active on all social networking websites and internet forums. 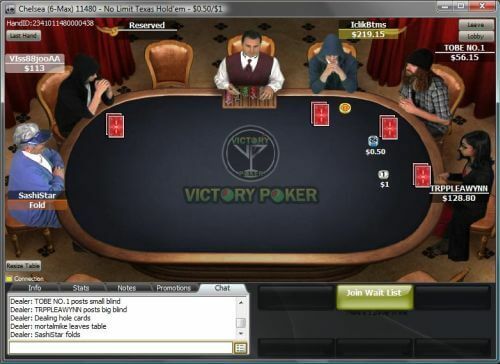 February 2010: Victory Poker launches at 12:01am on February 1st, 2010. Victory Poker launched on the Everleaf Network, and accepted US players. Poker professionals that would be involved in the marketing if Victory Poker included Alec “traheho” Torelli, Paul Wasicka, Lee Markholt, Danny Wong, Dan Bilzerian, Andrew “good2cu” Robl, Keith Gipson, David “The Maven” Chicotsky, Sander Lyllloff and Antonio Esfandiari. Victory Poker also had previous Playmate of the Year Sara Underwood as a spokesperson. Victory Poker showed the prowess of their marketing dollars early, sponsoring UFC fighter Randy Couture at UFC 109, and running a huge launch party at the Hard Rock in Vegas. Victory Poker would embrace the rakeback market with their own sponsored 2+2 forum, and offered 40% rakeback plus a deposit bonus of $1500. Victory also did a lot of marketing in offline magazines. One popular promotion that Victory Poker would run was a weekly heads-up match where one lucky player could take on one of the Victory Poker sponsored professionals. The player could win $500. April 2010: Victory Poker ran a huge $100,000 Video Contest. Players would make a one minute video detailing why they should be the next Victory Poker Pro. The winner would receive $100,000 in Tournament Buy-Ins, plus a Furnished Condo in Las Vegas(for 1 year), and a new car. 25 people would qualify and then compete in a tournament for the aforementioned prizes. As of this writing the tournament is yet to take place, with the CEO calling it a “logistical nightmare”. July 2010: Victory Poker canceled their 2+2 sponsored forum. There was a lot of negative talk about Victory Poker, because after the initial “boom” period when they launched, they basically became “just another Everleaf skin”. August 2010: It was announced that Victory Poker was leaving the Everleaf Network. Victory Poker would move to the Cake Network. The reasons for this, as stated by Dan Fleysman, “Everleaf owed me a ton of money”. It’s believed that Victory also felt that Everleaf were holding them back, and making it tougher for them to conquer the global world of online poker. March 2011: Rumours were abound that Victory Poker would be moving to the Cereus Network, which hosted Absolute Poker and Ultimate Bet. Dan Fleysman basically confirmed this, citing the same reasons about Cake as he did about Everleaf, stating “Both networks meant well but when I’m spending 6 figures a month building a brand in multiple countries I need the support from my network to handle everything”(Source). April 2011: On April 15, 2011 “Black Friday” happened in poker where the domains of Full Tilt Poker, Pokerstars, Absolute Poker and Ultimate Bet were seized by the Department of Justice. 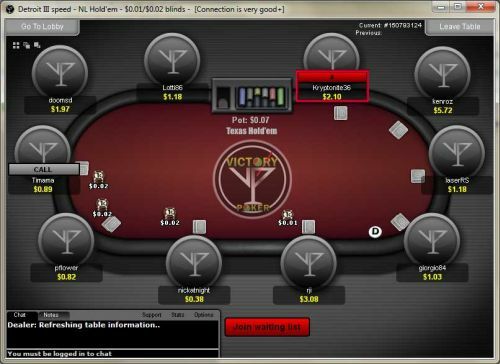 On April 18, 2011, Victory Poker announced that they would be staying on the Cake network, however that they would not be accepting US players at the current time. May 2011: On May 31, 2011 Victory Poker sent out an e-mail to all players and affiliates stating that as of June 1st, all players will be upgraded to the “Cake Poker” client and will no longer see any more branding related to Victory Poker. In other words: Victory Poker is closed. Have Victory Poker ever had withdrawal issues? Yes. Withdrawals sometimes took a long time to process, however this had nothing to do with Victory Pokers cash flow. The problems were at the networks that Victory Poker were on, and affected every room on these networks.